Kofi Kingston, along with The New Day, share their thoughts on the fallout of hicareer-definingng Elimination Chamber performance! Kofi Kingston overcame all odds and lasted a grueling 60+ minutes, as he managed to survive a hellacious Gauntlet Match on the most recent episode of SmackDown Live to earn the final spot inside the Elimination Chamber to replace an injured Mustafa Ali. Tonight, Kofi Kingston and WWE Champion Daniel Bryan became the final two men in the Elimination Chamber. Despite the loss, Kofi put on a performance that left wrestling fans with their mouths hanging open, emotionally fatigued and with hope that we could one day see Kofi Kingston as your new WWE Champion. At the conclusion of the Elimination Chamber, Kofi Kingston, along with his fellow New Day brothers, Xavier Woods and Big E. were approached by WWE.com for an interview. 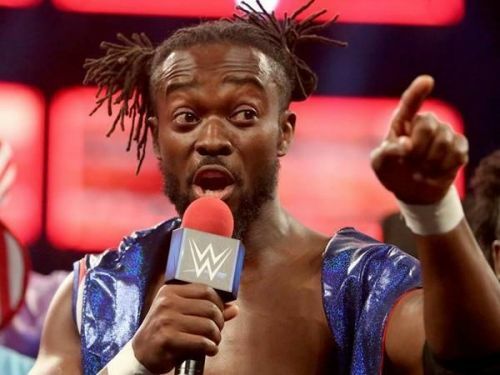 Kofi Kingston shared his comments on what has arguably been the biggest night of his WWE career. Tonight, Kofi Kingston gave a stellar performance and came up just short of becoming the new WWE Champion. However, the "New" Daniel Bryan was able to overcome everything that Kofi could dish out and retained the title over Kofi Kingston, along with Jeff Hardy, Samoa Joe, Randy Orton and AJ Styles inside the Elimination Chamber. Kofi states that he has no regrets on what took place tonight, as you can see in the video as posted by the WWE. Kofi Kingston, The New Day and the stars of SmackDown Live will be coming to you from the Smoothie King Center in New Orleans, LA. What will the fallout be from the Elimination Chamber? Could we see a match between Daniel Bryan and Kofi Kingston take place, or perhaps booked for WWE Fastlane? As always continue to follow and supports Sportskeeda for all your wrestling needs!